Every kid loves the galaxy. There is something completely fascinating about space, spaceships, space travel, and how things work in space. 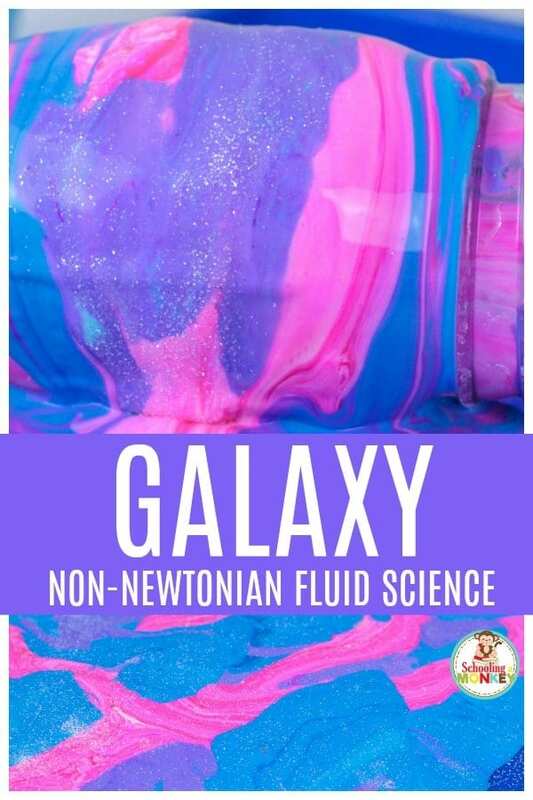 Explore all of these themes all while learning about crystal science with the galaxy sugar crystal science experiment! 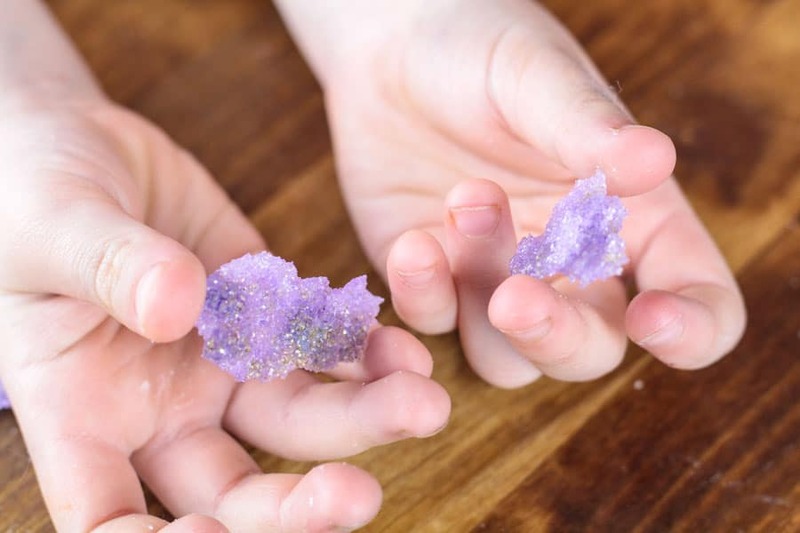 Kids will love making these sweet and edible sugar crystals, which makes it the perfect science experiment for kids, because who doesn’t love delicious edible science? 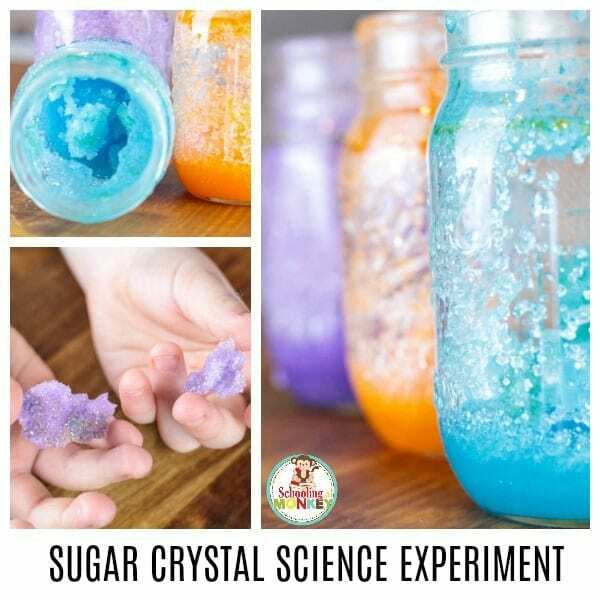 Expand on sugar crystal science when you add the STEM extension ideas below and turn your science experiment into a complete STEM activity! 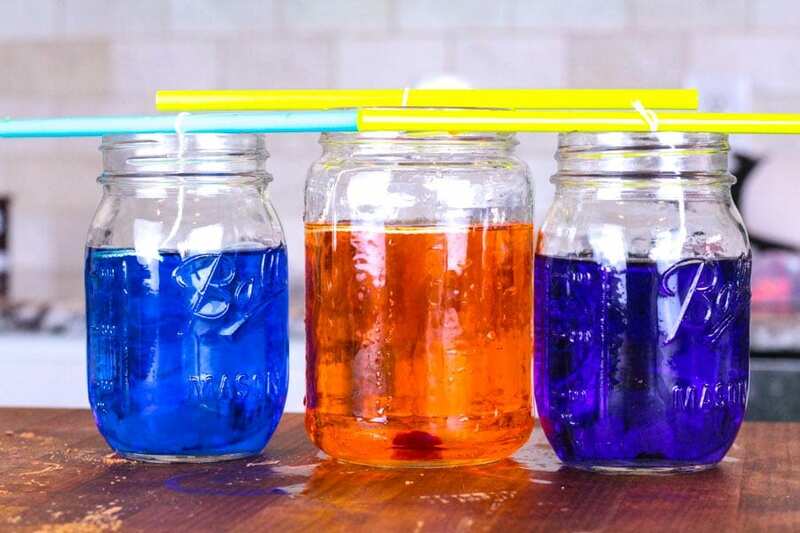 Don’t forget to check out the complete list of summer STEM activities and the complete list of summer science experiments. 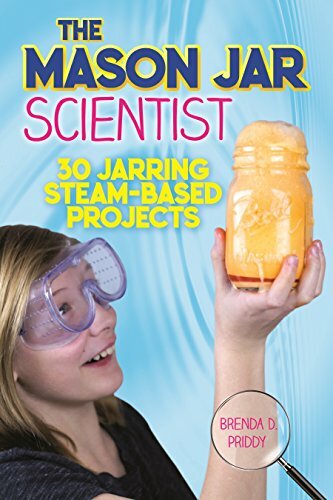 Make this summer a science summer! 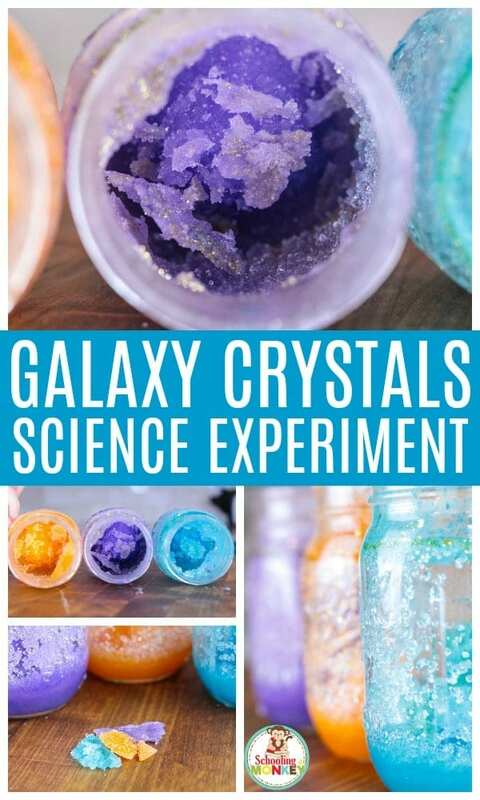 Read on to find out how to make your very own galaxy sugar crystal science experiment! 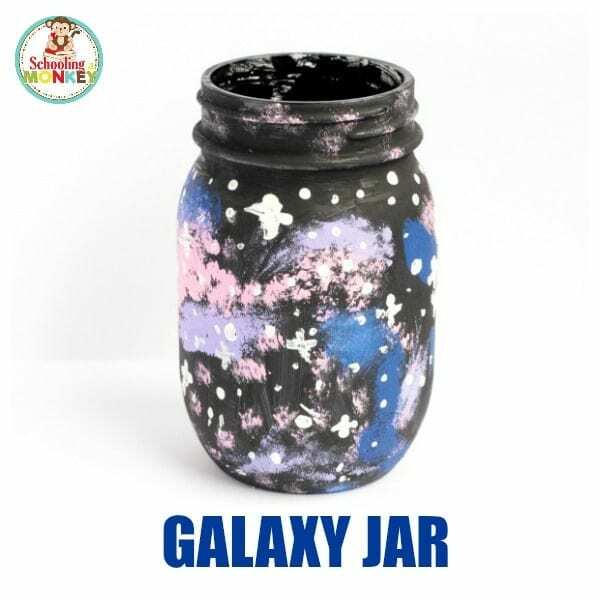 For more fun space theme activities, try our list of space activities, make a solar system mobile, try your own backyard space camp, or make planet slime! During the summer, the last thing any child wants to do is learn, right? But what if you could make learning so fun that kids begged to do it? That is where summer science experiments come in. 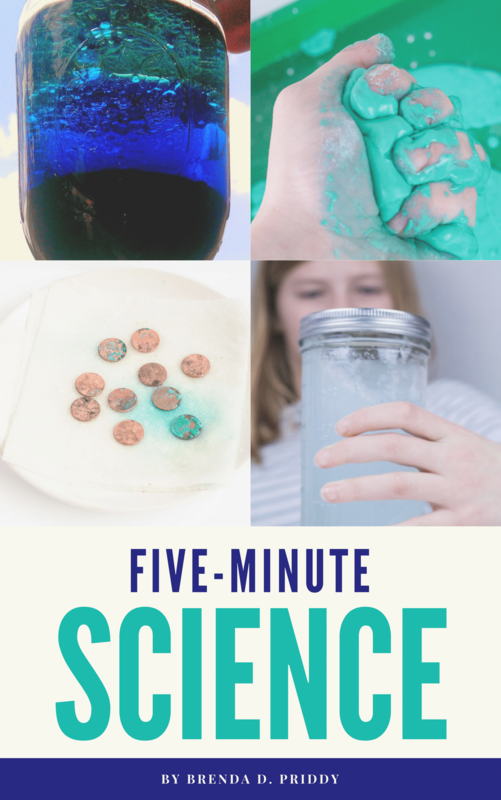 During the summer, we like to focus on hands-on science experiments and STEM activities with our kids, and they look forward to doing them every year. 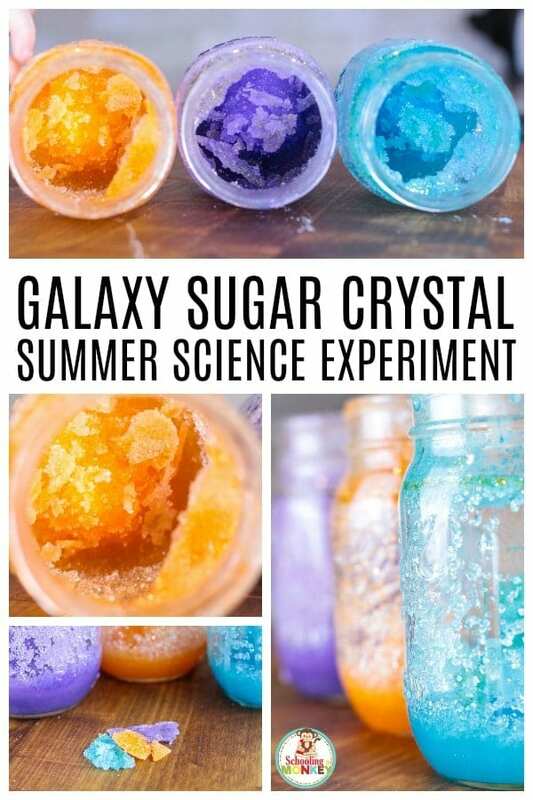 Making the galaxy sugar crystal science experiment is one of our favorite summer science experiments! A crystal is an example of an ionic bond between molecules. An ionic bond is an inflexible bonding of molecules that forms on a repeating pattern. The molecules only bond in a specific pattern, which makes each type of crystal have a unique structure. Most crystals are formed with minerals, but a few other organic materials can form crystallized shapes as well, including snowflakes and sugar. Rock candy is an iconic and common representation of sugar crystals. 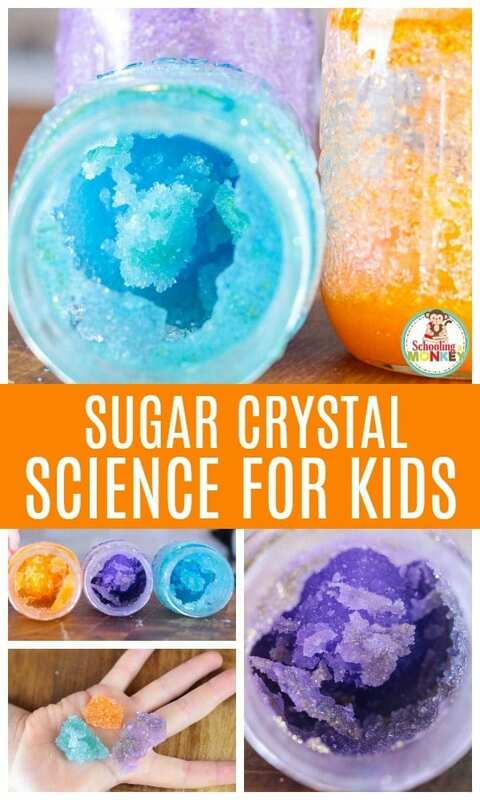 The most fun thing about sugar crystal science is that you can eat it afterward! 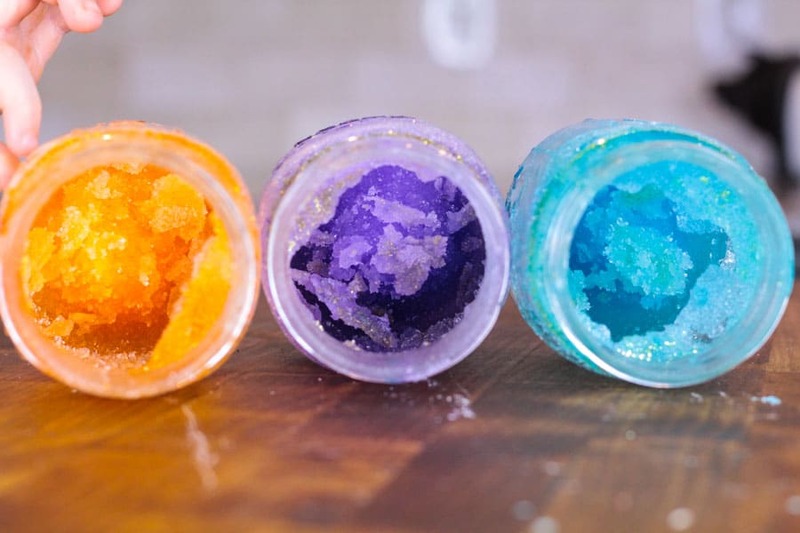 Use this activity to explore the science behind sugar crystals. Use our science experiment worksheet to record your experiment results. Each grain of sugar is made up of small crystals that are arranged into a specific pattern. 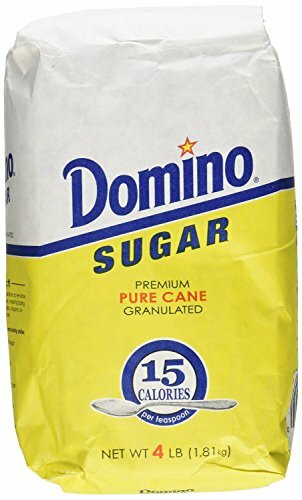 Granulated sugar is made up of sucrose molecules. Sugar crystals are formed when the sugar molecules connect, forming specific molecular chains, that form a larger crystal shape. Sugar dissolves in water because the bond between sugar molecules is weaker than the bond that forms between sugar and water molecules. When you add more sugar to boiling water than can dissolve in the water, it creates a super-saturated solution. Hot water can hold more sugar molecules than cold water, so as the solution cools, the sugar molecules start bonding again, forming large sugar crystals in the water. The longer the solution sits, the bigger your sugar crystals will get. You can speed the crystallization process by cooling your solution in the refrigerator. 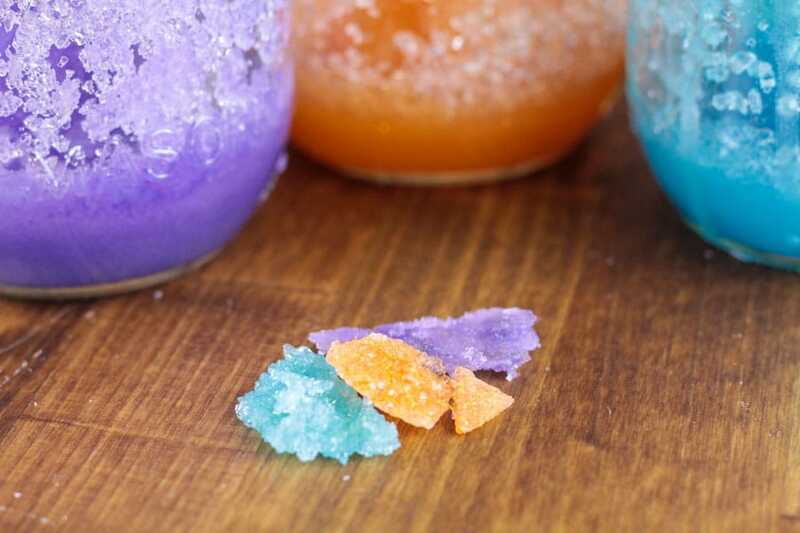 Expand on the galaxy sugar crystal science experiment by adding these STEM elements to your experiment. 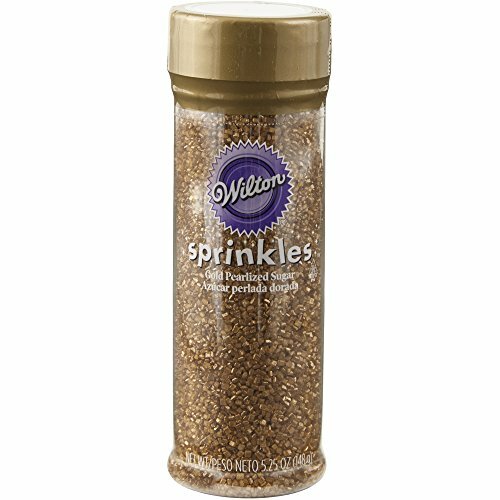 Wilton 710-041 Pearilized Sugar Food Decorative, Gold, 5.25 oz. 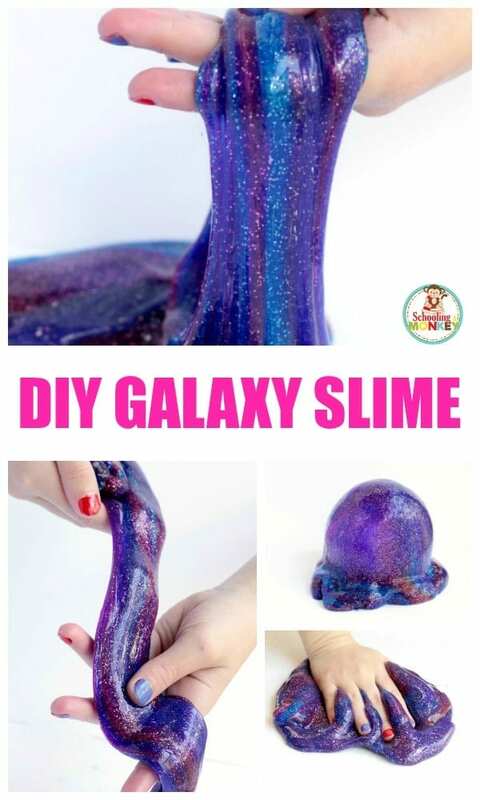 Making galaxy sugar crystals is easy. First, boil two cups of water in a medium saucepan. Add six cups of sugar to the solution and stir until dissolved. Be careful not to boil the sugar too long, or else soft candy will start to form, which will ruin the crystal shape. You only want to heat the sugar long enough to dissolve in the water. Once the sugar is dissolved, pour it carefully into three jars. Color one jar blue, one jar pink, and one jar orange. 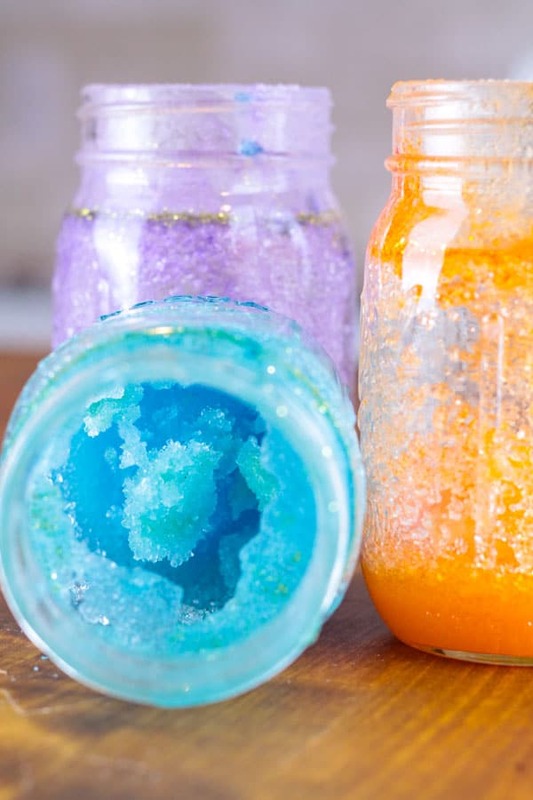 Sprinkle some edible glitter into each jar and stir. Add a small bead or marble to the jar to encourage the crystals to form around the center of the jar. 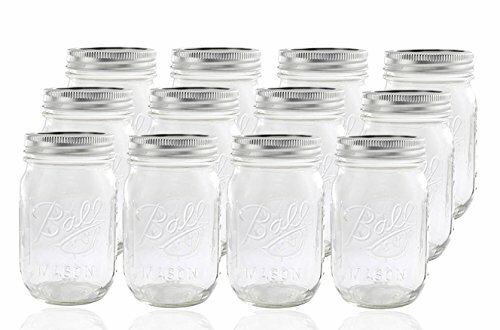 If you don’t add the small object, the crystals will form around the sides of the jar. That can also look pretty, but it will be harder to examine the crystals. You can also use a string and popsicle stick to form the crystals around that. Let the solution cool and sit for at least a week. You can speed up the crystallization process by cooling the sugar solution in the refrigerator, but your crystals will come out sticky. Once the crystals are as large as you would like them, pour out any remaining sugar water. 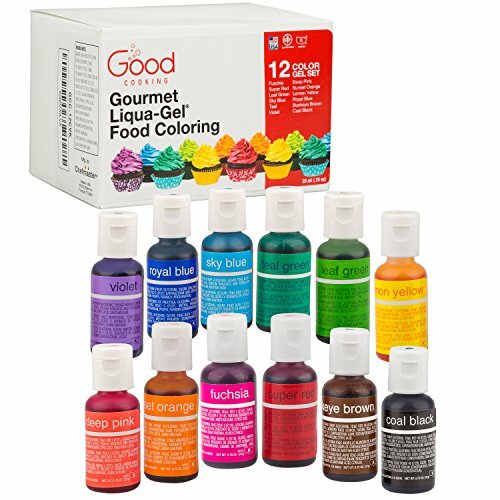 Flip the jars upside down on a paper towel and let any excess liquid drip out. Heat the sides of the jar to release the crystals from the jar (or leave them in). Use a magnifying glass to examine the crystals. Break a small crystal piece off and examine under a microscope. Is the pattern the same under the microscope?